Seit gut vier Wochen steht nun der Audiovalve RKVIII bei mir Daheim. Da ich heute wieder einmal im Hotel übernachte und somit leider nicht Musik hören kann, wollte ich die Zeit nutzen, um dem Forum von diesem absoluten Ausnahmegerät zu berichten. Wie in meiner Signatur zu erkennen ist, höre ich bislang ausschließlich mit einem HD800. Es werden zwar demnächst noch ein bis zwei weitere Kopfhörer dazu kommen, der Senni wird aber bleiben. Nun kennen die meisten hier den HD800, seine großartige Weite in der Abbildung und die sehr genaue Wiedergabe auf der einen Seite, aber auch die manchmal etwas "technisch" wirkende Gangart auf der anderen Seite. Angefangen bin ich mit ihm mit einem Lehmann Linear. Und auch die Bühne war jetzt nicht so meins. Dann den Violectric V200 getestet. Schönere räumliche Wiedergabe, aber da fehlte es mir an Genauigkeit. Dann - aufgrund der sehr guten Berichterstattung hier - den Bryston BHA-1 getestet. Dummerweise bei meinem Händler zusammen mit einem Ayon CD-1SC CD-Player probegehört - und beide bestellt. Letztes Jahr dann mein gesamtes Hifi-Budget in Stromoptimierung gesteckt - mit durchschlagendem Erfolg. Da ich schon immer Röhrenaffin war, wurde ich neugierig. Ich hatte die Möglichkeit, ihn ausgiebig hören zu können und war einerseits angefixt, andererseits konnte er nicht komplett alle meine Ansprüche erfüllen. Irgendwie gefiel er mir zwar besser als mein Bryston, aber z.B. die Durchzeichnung war nicht so da, wie ich es vom BHA-1 gewohnt war. Geschmacksache - klar, aber irgendwie wollte ich jetzt keinen Kompromiss eingehen. Audiovalve hat mich aber dann nicht mehr losgelassen. Also habe ich mir den RKVIII zum Test ins Haus geholt. Das war dann aber wirklich mal noch eine ganz andere Hausnummer!!! Dieses Gerät macht einen unglaublichen Raum auf! Ich habe nun das Gefühl, ich könnte die Interpreten anfassen - sie sind atemberaubend "live". Es gibt nun mit dem HD800 auch kein Stück mehr, was mich " nerven" könnte, er ist in dieser Kombi dermaßen musikalisch, mit so einer tollen Klangfarbe, wie ich es bei diesem KH nie erwartet hätte. Und auch die Durchzeichnung ist beim RKVIII deutlich besser, er spielt einfach in allen Belangen souveräner. Was die Kontur/Präzision im Bass angeht, habe ich im jedoch noch ein HMS Suprema-Netzkabel spendiert. Man glaubt nicht, was dieses Kabel an Druck und Kontur im Bass bewirkt! Ob es Leonard Cohen mit der " Live in London" ist, oder (der Hammer!) Mario Adorf mit Monserat Caballier bei "Rilke Projekt" - soviel Emotion auf fast allen bislang gehörten CD's hatte ich so nie erlebt. Eine ganz, ganz klare Empfehlung für den Audiovalve RKVIII - wer sich für den Luminare interessiert, sollte unbedingt auch mal den RKVIII hören. Und für die Stax-Besitzer gibt es ja noch den Verto, um den man die RKV's ergänzen kann. Nichts anderes ist im Luminare verbaut. Ach ja, der RKVIII hat zwei Kombi-Kopfhöreranschlüsse, die sowohl zwei unsymmetrische Kopfhörer aufnehmen können, als auch einen 2x3-Pol-Stecker. Herr Becker läßt aber auch mit sich reden und verbaut auf Wunsch auch eine 4-Pol-Buchse. So, jetzt habe ich mir mal Luft gemacht - ich mußte echt mal mit meinen Emotionen raus. Leider kann ich meine Höreindrücke nicht so gut in Worte fassen wie Otwin, der wie kein zweiter tolle Gerätevorstellungen hier eingestellt hat. Aber vielleicht testet Otwin dieses phantastische Gerät ja auch noch mal und schreibt ein spannendes Review darüber - es wäre wirklich die Mühe wert. Auf jeden Fall meinen Glückwunsch an Herrn Becker zu diesem wunderbaren Gerät! I am glad to send you today in April 2017 my updated testimonial for the Audio Valve RKV Mark III headphone amp driving my Abyss AB-1266. Since I am very happy with your product it is a pleasure for me to deliver you details of my experience. 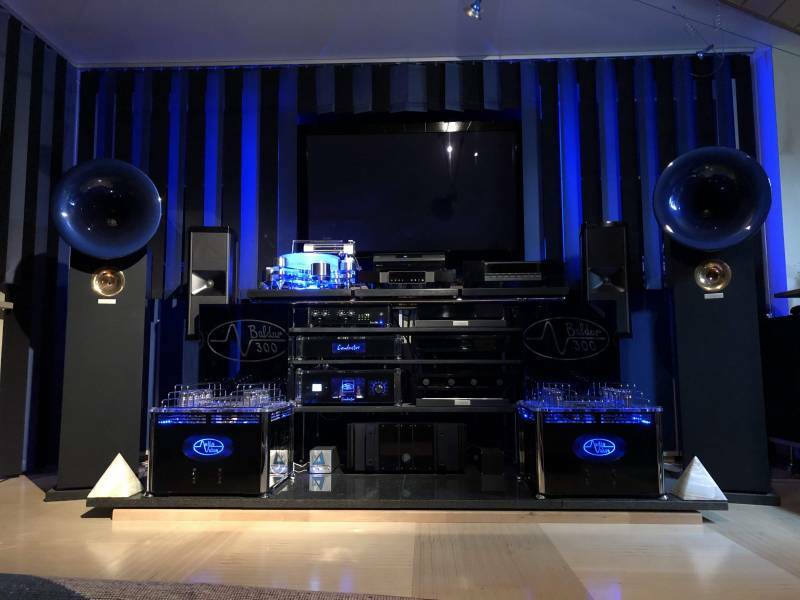 If I could select only two of my hifi products for the lonely island I would definitely choose Abyss 1266 headphone and AudioValve RKV III together – they made a sonic dream come true for me. Before I start I want to state that my testimonial reflects what I hear and what I like, it is subjective. Other high end enthusiasts may rate it differently. My ability to compare to other products was limited since I have heard only a limited amount of products in direct comparison. 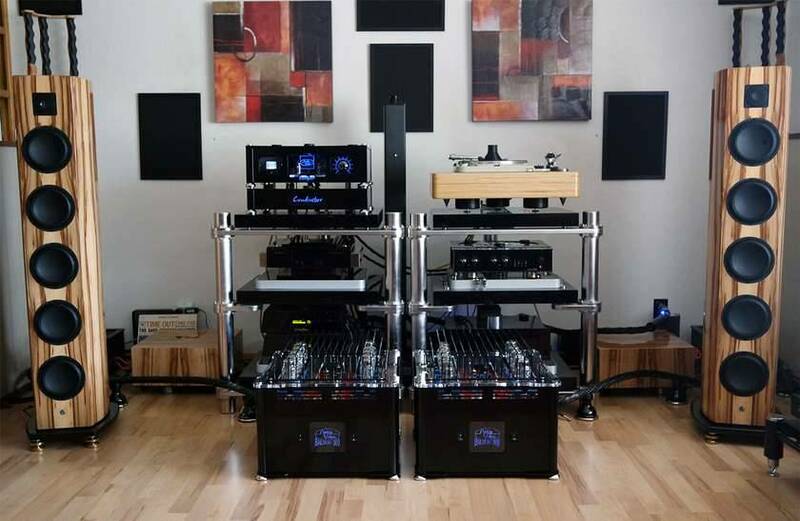 Behind the purchase of expensive high end equipment there is often a long individual high end track record. So what leads to the fact that I am a satisfied owner of Audio Valve RKV Mark III? I am a loyal long term customer of Stax. I love these headphones with their silky, smooth presentation and resolution, especially when hearing classical music. I ended up with a Stax SR-007 MK2 together with the tube amp Headamp Blue Hawaii. Years of wonderful listening experience made the STAX combinations to one of the best investments I made in high end. The tube amp SRM 007t was for long time my favorite of all STAX headphone amps primarily because of the sonic qualities in reproducing classical music. I love classical music. But also pop and jazz, so at the end I like it all! I upgraded some time ago to Headamp Blue Hawaii. It is an improvement in comparison to SRM 007t: more dynamics, deeper and tighter bass, more neutral. The differences are audible, but the sonic experience with Blue Hawaii is not worlds apart, so I think for prospects best choice is to check whether the upgrade is worth the huge amount to pay based on your personal judgement. Most listeners prefer the SR-009, some prefer even the older initial SR-007 to the current MK II version. I ended up to prefer the current SR-007 MKII. My ears rated the SR-009 as to bright, a little bit too lean and mechanical sounding, not so natural and lush like the SR-007 MK II. Yes, many criticize the SR -007 MK II in having too much energy and not enough precision in the low frequency range. Yes, I hear also this, independend whether driven by Stax 007t or Headamp Blue Hawaii. But it did not reduce my fun listening to Stax – at least until the Abyss entered the scene, will come back to that later. In the last years my focus towards headphones increased because of two positive drivers: my young daughter (unfortunately not sharing my loudspeaker passion) and all these new headphones and headphone amps entering the market and getting highest recommendations from the audio press. Reading all these enthusiastic reviews I was afraid I could miss something hearing only to my good old Stax. So I tried an Audeze LCD-2 sometime ago. A very good headphone with great look and feel. But at the end I had to recognize that after the attractiveness of being new and exciting was gone I did again prefer the Stax for most of my listening - regardless of the type of music. Only in the case of heavy rock or pop with extensive low frequency energy I used the Audeze. With the Audeze I did not hear the high frequency resolution of the STAX that is so important to me, I missed the delicate characteristics which makes the STAX so special, taking care of every musical detail. 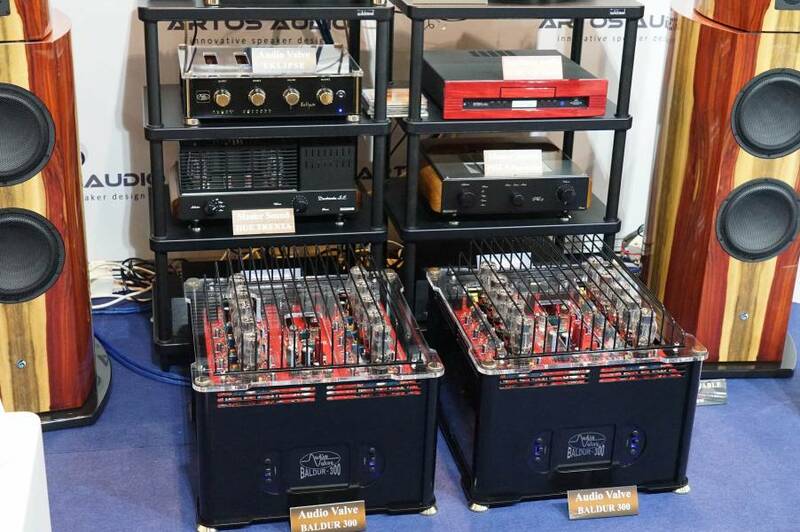 Someday having a lot of time during holiday being spend with reading hifi magazines I detected a strange looking new high end model called Abyss AB-1266. I read some reviews about it and decided to buy it from Hifi-Studio am Falkensee (Uwe Heile), paired it with AudioValve RKV III. What a great ground breaking experience! It confirmed a old rule: after 7 seconds you know whether you like it or don't like it, whether something new and special is happening. As well as the Stax the Abyss offers me a similar level of smoothness and liquid sonic. 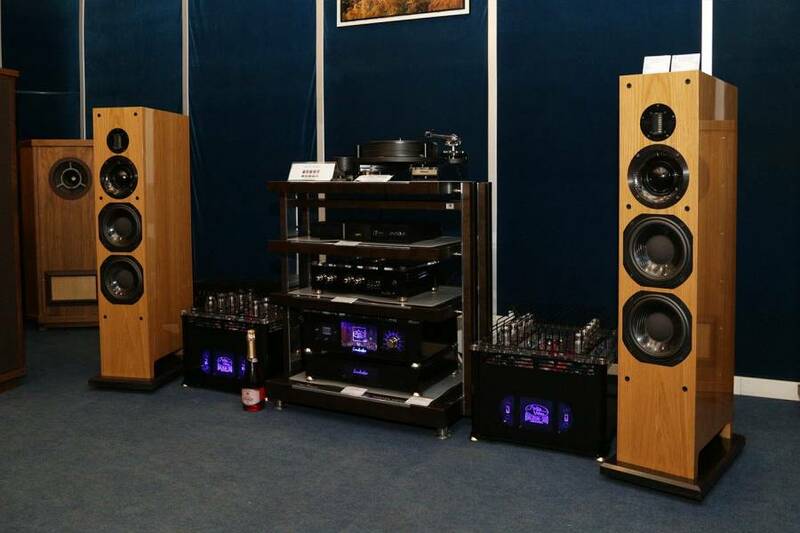 But the Abyss AB-1266 combines it with greater dynamics, incredible bass performance and a tangible and grounded sound. It is by far more dynamic and transparent in the lower frequencies - without the disadvantage that the Abyss does produces too much energy in the lower frequency range. That difference reveals very clearly the weakest point of the Stax (007 MK II). The sound with Abyss is also very lush – I love this. I hear dynamics, details and precision I don’t hear with the Stax. The Abyss is so good that you can't stop listening to your jazz, pop and rock recordings. You hear it like never before. For me this headphone represents a huge milestone in headphone development. Even with classical music the Abyss beats the Stax, but the distance is not so huge as with the other music genres. Definitely the best headphone of the world I heard so far – at least when driven by AudioValve RKV III. So let’s come to the amplification part. 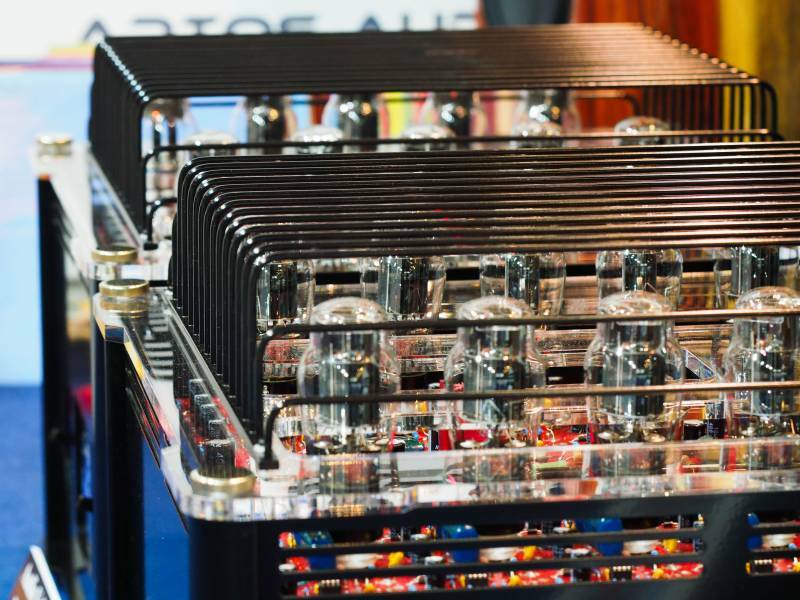 Today there are so many choices, every month new headphone amps announced - good times for headphone audiophiles! But if you want the best and the also the ideal match for your specific headphone (s) the amount of choices can be reduced. I only heard a very small portion of the available headphone amp choices the market offers. 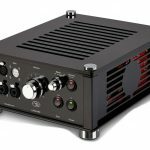 So I am not able to give general ratings like "best headphone amp in the world". And to reduce the scope of my comparison even further - I heard these amps with these headphones: Stax SR-007, Stax SR—007 MK II, Stax SR-009, Audeze LCD-2 and Abyss AB-1266. An assessment of a headphone amp could be and sometimes definitely will end differently depending on the headphone you drive. 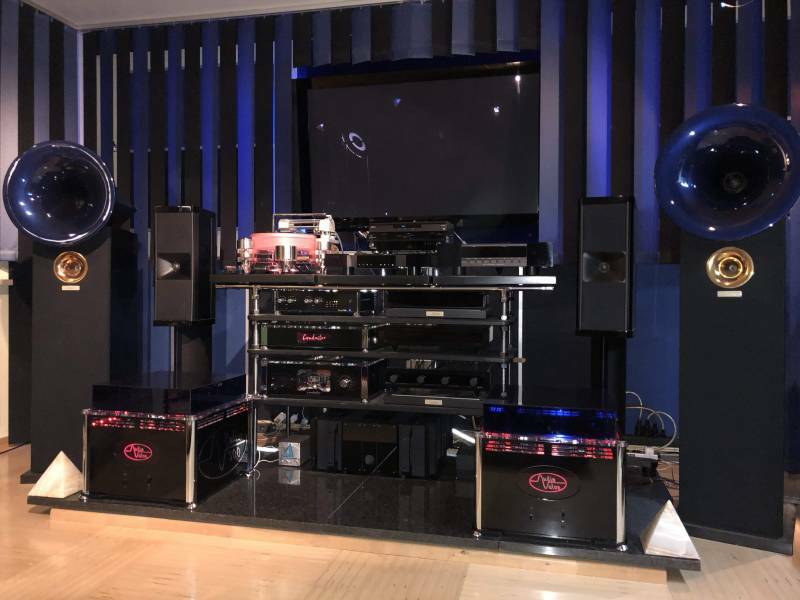 I heard the Violectric V200, Fosgate Signature, Bryston BHA-1, Cavalli Audio Liquid Gold, Headamp Blue Hawaii, the headphone amp of my Accuphase C-2400 preamp and the Audio Valve RKV Mark III. My absolute personal favorite is the Audio Valve RKV Mark III. Smooth and very dynamic. This powerhouse is also strong in subtle details. The Abyss is so lively with the Audio Valve. It seems that the Abyss need some freedom to play, may be you know that kind of passion by a symphony orchestra being directed by a great conductor encouraging them to play without too much control - they will play being inspired. The Audio Valve has that kind of smooth characteristics that I like with Stax - without harshness. It seems to me not being a deviation to neutrality and power. Pop and Rock are sounding great. Incredible bass performance – so tight and deep. And in addition a very delicate reproduction of tone colors and a very three dimensional sound I never experienced so good with headphones before. I don’t even miss loudspeakers, since I don’t have the feeling of music playing between my ears. I compared my AudioValve with the Cavalli Liquid Gold driving my Abyss. I like the AudioValve by far more. More natural, lush, dynamic, threedimensional – it sounds fluent. The Cavalli sound more dry, mechanical, lean. Often the advantages and disadvantges of components playing on the same overall level are distributed in a balanced way. 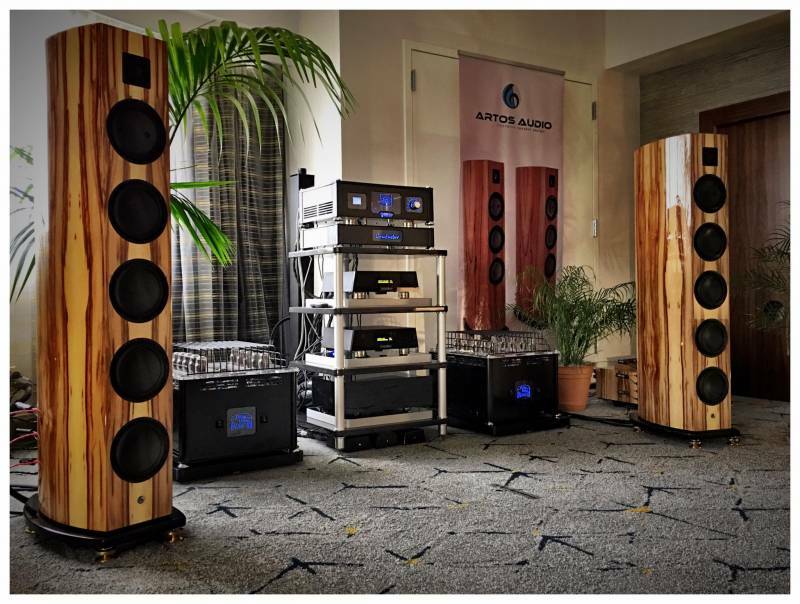 My ears tend to really LOVE the AudoValve: I can’t detect a criteria were the Cavalli has a sonic advantage for my ears. And for me it is a huge different. That was and is still a surprise to me, many rate the Cavalli as best choice for the Abyss. The difference is greater that the difference between Stax SRM-007t and Headamp Blue Hawaii. In addition to the sonic merits I love the RKV III because I can see inside the amplifier. I can imagine where the music finds the way through the circuit - without being harmed. The glow of the eight tubes is wonderful. Audio Valve and Abyss are both not looking reduced like purist "Bauhaus" style. After some weeks in my home I now think they represent a "good and characterful looking couple". 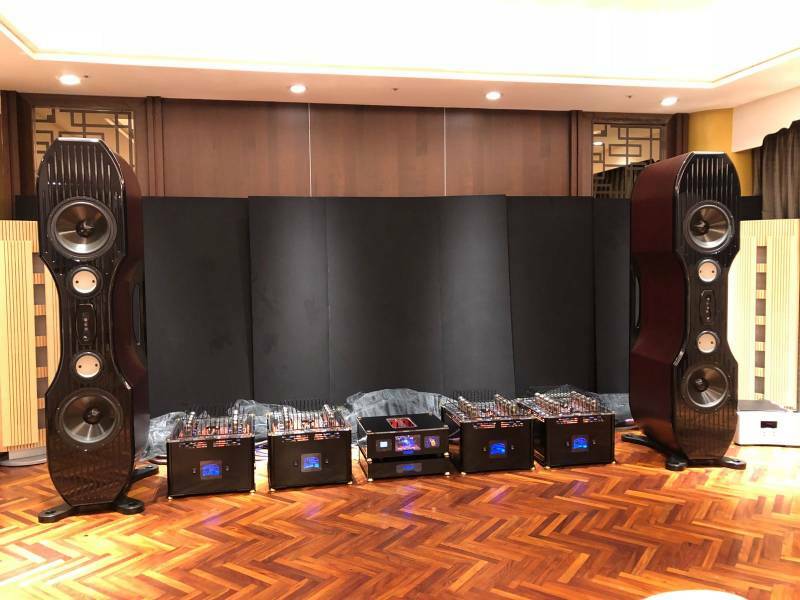 The Violectric V 200 is not so dynamic, it sounds also smooth, very controlled, a little be controlled in comparison to the Audio Valve, with less bass power in comparison to Audio Valve RKV Mark III. Considering the price I rate the performance as very good. But knowing what the AudioValve can do hearing with the Violectric is no fun anymore. I sold the component. So I urgently recommend all headphone enthusiasts to try to listen to Abyss and AudioValve RKV III. I am glad that I contacted Mr. Becker a year ago. Listening via Audio Valve RKV III and Abyss is the best listening experiences I can imagine. In addition to my sonic experience I want to share also my practical experience in day to day operation. I use the RKV III now since one year. It worked all the time trouble free without any problem. Important for me is also the fact that you don’t hear any hiss or hum, also no noise during start up or shut down procedure. Take care in the case that you connect the RKV III via Y-adapter to your source. When switched off or in the case of the inputs not being selected the source will see a reduced resistance. No panic, there is not a risk of a damage but you just need to know that the level in case of a parallel connected amplifier is reduced. With the Abyss I prefer the RKV Mark III 64 Ohm impedancer setting. It is smoother in comparison to the 128 Ohm setting, may be the listener looking for dynamics of pop and rock will prefer 128 Ohm. In my configuration I needed a longer headphone cable for the Abyss. I purchased a cable called "Headphone Harness" from small US based niche company Jena Labs (distributed in Europe by emotionalaudio in Netherlands). A good decision. Look and feel is very good. Sounds very good, but I did not spend effort to compare to the JPS cable. The cables of both channels are stranded together and the strand is very flexible. So the handling is better than with the original Abyss cable. Having owned a wide range of hi-end preamplifiers over many years, I recently purchased the very latest version (2017) of Audio-valve Conductor preamplifier to alternate with my Tidal Preos. I have not made this decision because I am unhappy with the Tidal, but I wanted to add a high quality valve preamplifier into the mix of my system, to replace my Audio Research Reference 5 SE, which was very good, but there were a few compatibility issues. 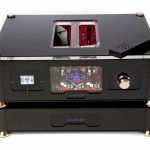 The focus of this review, however, is not to offer a head to head comparative evaluation of different preamplifiers, but rather to share my initial impressions of the Conductor (at 50 hours burn in) within the context of my system. The Conductor is different in concept, appearance and execution from other preamplifiers I have owned. It is beautifully constructed from sheet steel and polycarbonate to minimise EMI and RFI, with a large see through central front window that provides a clear view of the high quality components on its superbly engineered circuit boards. It has a very well thought out boot up software program that is easy to understand and intriging to observe in action. IMHO the more uniform lines of the 2017 version of Conductor are more aesthetically pleasing than before. The controls of Conductor are silky smooth, yet robustly engineered, conveying reassuring confidence that they will last a very long time. It is endowed with distinctive personality, individuality and class, which I find refreshingly appealing. The head unit is linked to a substantial external linear power supply with its anode potential alone being nearly 10,000µF/400VDC and 100,000µF for the heater section. The Conductor is spookily quiet with a very black background. It is dynamic with an organic texture that is very musically satisfying. It is punchy and explosive, yet delicate with accurate timbre in accordance with the demands of all genres of music. It conveys how good or bad a recording really is without rendering any piece of music unlistenable. As I listen to a lot of jazz and opera with female vocals, I place musicality and emotion very high on my list of sonic priorities. However, I also love a high level of detail retrieval and resolution, but not at a cost of losing the heart and soul of music. The Conductor is incredibly transparent, without the slightest hint of glare or edge. It delivers its magic consistently with lots of emotion and sensuous involvement. Sound stage depth, breadth and the ability to place instruments in their correct position within the stage…. with top to bottom dynamics and engaging tonality are among the best I’ve heard. 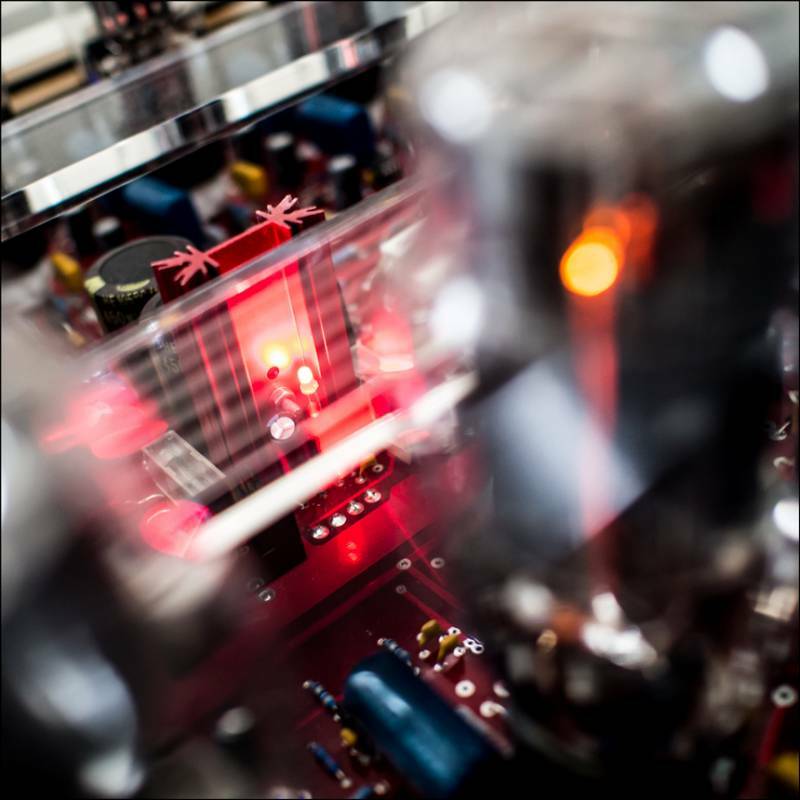 When consideration is given to the Conductor's exceptional value for money, evolutionary upgradability and longevity (the basic design concept of Conductor has undergone progressive development and refinement throughout the past 10 years), it will be very difficult to find a preamplifier that performs with such holistic brilliance at anywhere near its price. It’s really that good across the board. 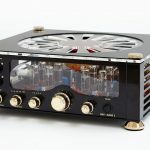 "...hot on the heels of last year’s biggest surprise, the Audio Valve Eklipse, comes their new flagship preamplifier, the Conductor. 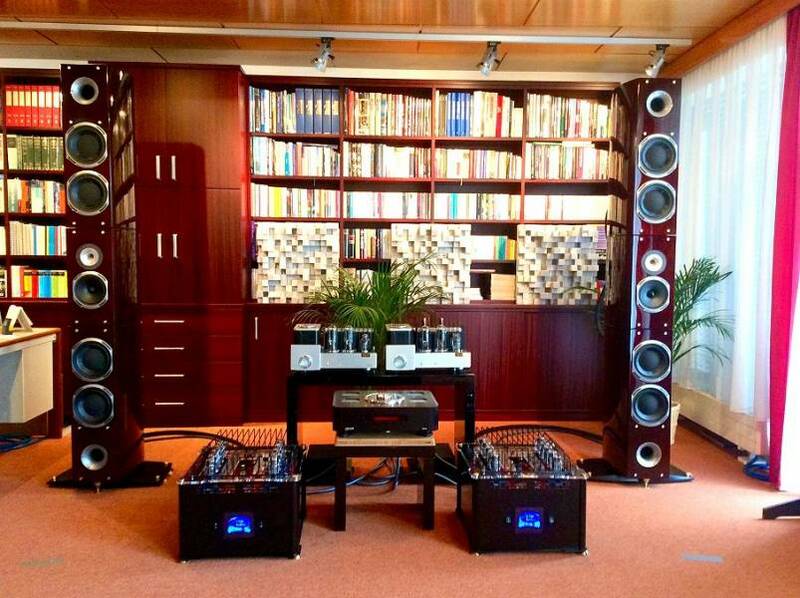 To state it simply, the Conductor performs on another level from most preamplifiers that I have heard in my system. 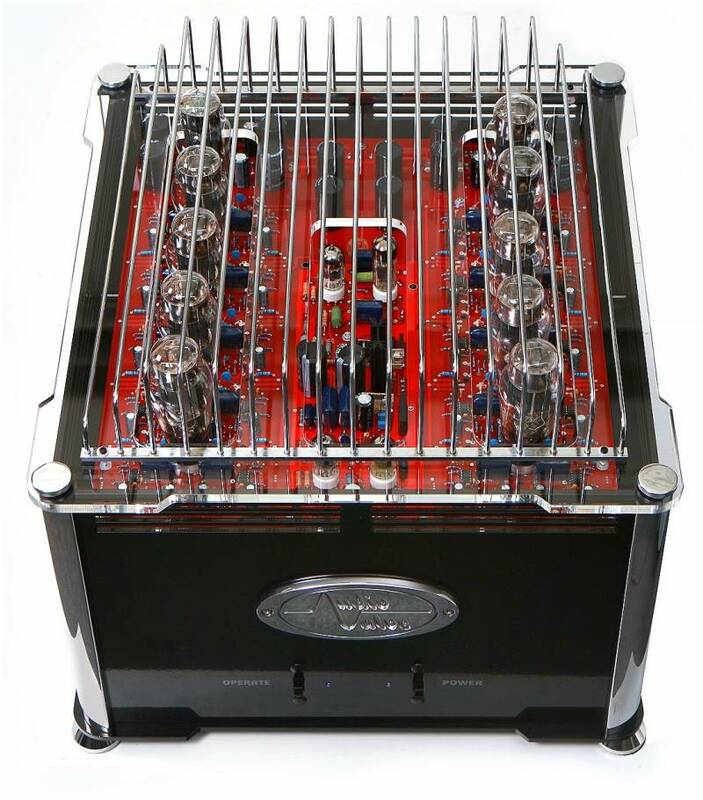 It's a vacuum tube preamplifier that is detailed, fast, dynamic, and possesses bass power with extension and impact. The Conductor elevated the performance of every component I hooked up to it. 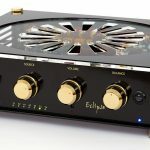 Eklipse owners beware: The Conductor is not just a better version of the Eklipse, but instead, is a totally different animal that provides a higher level of the music enjoyment experience..."
"...the Conductor was extremely well behaved during its time residing in my system. There were no pops, hums, nothing micro-phonic, no tube noise, and no transient thumps when I turned it or anything else in my listening room on or off....The Conductor made listening to music pure joy in my system. It has an uncanny ability to musically retrieve all of the information that's loaded inside of your music media and make you feel that you're at the recorded event. Because of those areas of performance I value that tube preamps provide, I felt that the Conductor outperformed my Klyne in most aspects of music that I tend to judge music by, though the Klyne wasn't far off. Those virtues that tubes bring to the table caused me to feel I would give the edge to the Conductor. I also had access to an Audio Valve Eclipse, with NOS RCA “Clear Tops”, during the time I spent reviewing the Conductor. The Conductor is in a different class from the Eklipse, and it should at $7-8K more in cost. 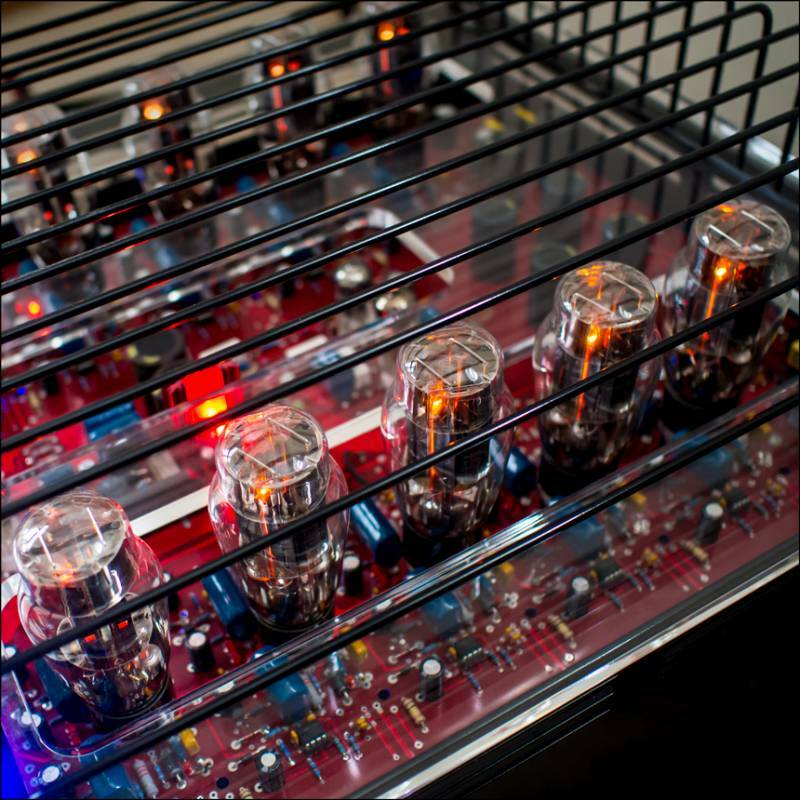 They are two entirely different preamps that have different topologies, different power supplies, different parts, and use different tubes. In my opinion, there are no tubes on the planet that you can put into the Eklipse that will allow it to perform as well as the Conductor. There is a reason why the Conductor costs more than the Eklipse and if you have the opportunity to compare the two, you'll hear the sonic increases that I'm talking about. The Conductor compares favorably with the likes of preamps from Audio Research, Atma-Sphere and Convergent Audio based on what I have heard of these other fine preamps in other systems. I never felt the urge to try and change the tubes in the Conductor because I felt it was already sounding good with the factory tubes. I thoroughly enjoyed my time with the Conductor and was sad to see if go after it allowed me to enjoy and rediscover some of my musical treasures. 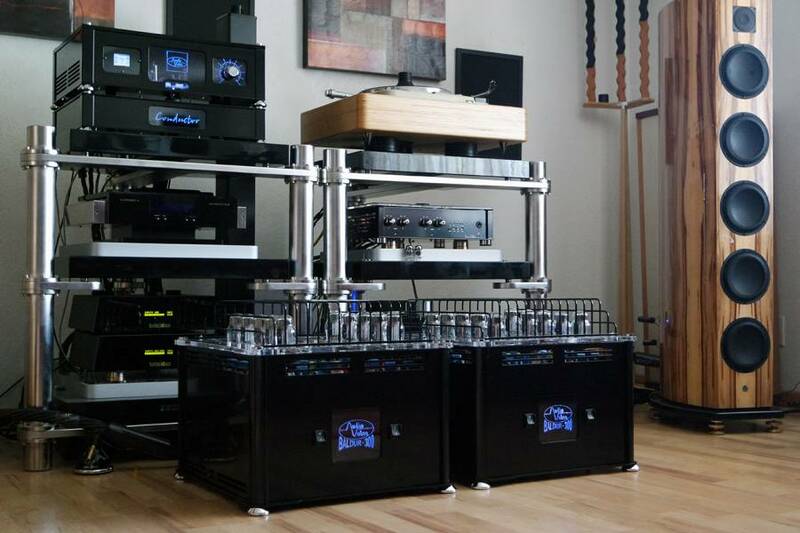 The Audio Valve Conductor certainly gets my highest recommendation..."
"Now, this preamp is like nothing I have ever heard. And I used to be an assistant in a company here in Perth that made possibly the world's best solid state preamp back in the late seventies. This preamp (known as HSA) consistently beat all preamps that it went up against, even the Mark Levinson. So much so that Remy Thorens (of Thorens) wanted to have the world distribution rights, but costs put the tiny company out of business. The point is that I do have a very good ear, and I have never heard a system that could beat the old HSA. Many can now, but none as well as your Eklipse. The detail is stunning. 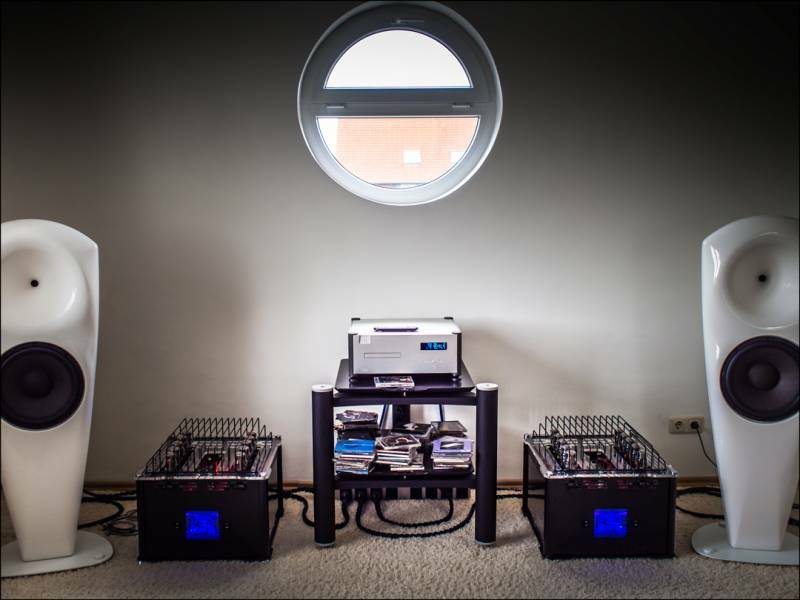 With the clarity of my Soundlab M1 electrostatics and the explosive power of the Sanders Sounds ESL monoblock amplifiers the sound is electrifying ! Bass - I had started to doubt that the Soundlabs had any bass - WOW the bass now is amazing !!!! Guitar strings and piano are stunning but then a voice comes in and the singer is standing in the room - fantastic ! Once again - thank you for designing and building such a wonderful instrument. The design and build quality are stunning but it is the sound quality that is on a different level to anything that I have ever heard. Thank you for this gift of sound."